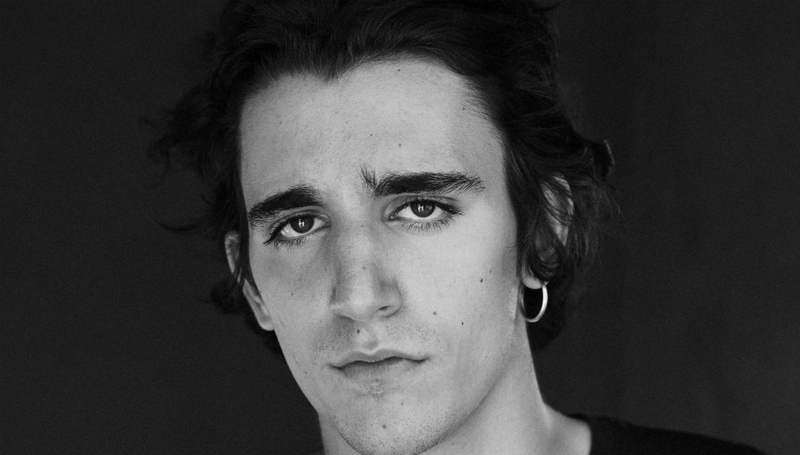 From the opening few notes of 'Habibi', it's clear that Tamino has been blessed with a special talent. Hailed as the heir apparent to Jeff Buckley, the Belgian-Egyptian artist is possessed of a voice that's otherworldly in its power, a soulful, angelic instrument that covers everything from euphoria to heartbreak. And on 'Habibi' - it means "my love" or "sweetheart" in Arabic - he unleashes its full range, hitting an absurdly high note amid a gorgeous falsetto as delicate, melancholic guitar notes float around his voice. It's no surprise that the song led to something of a label scrum to sign Tamino before he had even played on these shores. Now, a year or so on, his debut album Amir has built on that promise, a collection of modern, worldly pop that sounds like nothing else. Drawing on his Egyptian heritage and the Western pop his mother played to him as a child, his songs are languid, emotionally-heavy life studies that belie his youth (he only recently turned 21) - as he himself described them in one interview, "I am only here to break your heart in two." Currently, on a whirlwind European tour of shows and press, his only concern is finding some gaps in 2019 to write some follow up material. We caught up with him somewhere on the road to talk about his Grandfather's legacy, nihilism, and why much of modern pop is just another product. DiS: There’s a richness and mystery to all the songs on the album that was apparent in your earlier releases too. Were you aiming for a particular theme, or overall sound? There were several stages to the process of making the album. In the first, which was the song-writing, I didn’t really have a say in what direction it had to go. That’s because I don’t know where my creative ideas come from when they do - of course, afterwards I can formulate some rational explanation. I usually just start working and sometimes something good happens and sometimes nothing happens at all. I can always shape the songs and try to perfect them afterwards, but the initial spark of creativity is something over which I don’t have control. In stage two, I looked at the songs I wrote and more specifically at the elements which presented themselves to me. I then had to make a choice on which elements I wanted to emphasise. Sonically speaking, I really wanted the contrast between all these elements to stand out, as well as the depth and the many layers. I never chose to make something ‘mysterious’, though - it was far more important for me to make something with depth and meaning. The result is an album that doesn’t present itself fully after listening to it one time. In order to discover it truly, one has to be willing to explore it. There’s quite a lot of melancholy in your music and lyrics, something that you’ve mentioned before that exists within Arabic music. Why does sadness and heartache lead to the best art? Or at least the art that seems to resonate more widely with people? I think for art to really resonate with people it has to touch them deeply, and in order for it to do that, one has to find something of themselves in the song that they are listening to. When you’re experiencing sadness or pain, you don’t want to be alone in this particular pain; that’s why a song which explores similar emotions will resonate deeply with you. While when you’re feeling happy, you might not be in as much need for a song or work of art to represent what you are feeling. A happy song will pass you by way easier than a sad song. I’ve heard different opinions from other people. One very interesting one from a Belgian writer was that music shouldn’t be about emotions, and to listen to sad music when experiencing pain or trauma will only make the pain heavier than it should be. But I tend to disagree with this, from a personal point of view but also from what I hear from some of the people coming to my shows. When you’re experiencing pain or sorrow it can be of great help to hear or see your pain reflected, multiplied, and maybe even romanticized within a work of art. It can bring you relief, rest, and you might feel less alone. Given who your grandfather was, and the richness of his musical heritage, do you feel in some way that you are “carrying the torch” as it were? Trying to honour his legacy? I don’t really feel like I’m carrying the torch or making music in order to honour his legacy. I make music because it’s what I love and because there’s an urge for creativity that’s always been there, and if I ignore this I tend to become unbearable to be around. I do feel the importance of his musical heritage though, and it inspires me every day. I also know that if I went to Egypt to perform, I'd better be well prepared because I’d be carrying his name to the very place where he was best known. I'd have to be ready for it. Your mother introduced you to the likes of Tom Waits and John Lennon – modern, Western singer-songwriters. What do you take form them that you try to incorporate in your own music? Like I mentioned in my answer to the first question, the initial spark of creativity is something over which I don’t have control, so consciously “incorporating” things into my music is something which I do after the song is written. So more in the stage of arranging/producing the song. And those things are mostly sounds, rhythms, or orchestral arrangements. You spend a lot of time on the lyrics – trying to get the words just right – and I also read another interview where you said: “books have changed my life more than concerts have”. So which books/authors have had the biggest impact on you as an artist? Kahlil Gibran has been a very important author for me because of his beautiful prose and use of romanticism as a protest to a cold world. His book The Prophet is a little book full of wisdom. You could say that all the beautiful sayings from the Holy books are combined within this little book, with all of the scare talk left out. Another book which has left a deep impression on me is Nagieb Mahfouz’s Palace Of Desire (for which he won the Nobel prize). Set in Egypt, with a young, unattractive teenage boy as the protagonist, it talks about growing up in Caïro, doubting his faith, going through typical teenage, growing up stuff as well. It's a beautiful, genius work which was very interesting to me, for if my parents wouldn’t have been divorced I might have grown up in Caïro as well. This book made me understand my father and Egyptian culture better. A lot of modern pop shies away from having a rich, lyrical content, relying instead on clichés and empty platitudes a lot of the time. Is that something you want to deliberately fight against? I’ve always made music from the heart and will never change doing that, for that’s what gives sense and what, in the end, will fulfil me the most. The reason that we see so many clichés and empty platitudes in so much of today’s pop is because it sells; if it’s easy to put into a box, it means you can market it very easily and the chance of commercial success lies higher. I do have my own views on the current musical landscape and see that almost all of it is about money, nothing more than that. It’s a business like any other, and music is being sold and marketed like Coca Cola. But it probably has been ever since it was possible to record something and sell it. I myself am probably as guilty as loads of others of using clichés within my music, but if I use them, it’s because I like them and they are embedded in my perception of what a good song is. But I don’t see my music as some kind of rebellion against the cold, money-hungry music industry. Like I said before, I just do it because I love it and I feel like, in some sense, I have to. Of course, I sell my own music as well and it's marketed just like any other record - this very interview being a part of that whole campaign. The difference is that at the core, the work I’ve done comes from a sincere place and not a single thought was about money during the making process of my album. And it will never be about money. If my main goal was comfort, I would already have made tons of compromises in order to get money and fame as quickly as possible, but that goes against my principles, taste, and vision. I hope to have a career, and one based on longevity, sincerity, and individuality. You’ve been touring and working hard for a few years now, and this year things really exploded for you. How important is a program like ETEP (the Eurosonic platform) for getting artists like yourself extra exposure, in terms of both fans and the industry (for example, festival bookers)? I think showcase festivals are very important for young artists and bands. It’s good for finding the right partners, getting booked at the right festivals, or maybe even to get the attention of a label. Even though I recognise the importance of showcase festivals, they’re also the worst to play because for some reason it’s always in the worst technical conditions, and you're aware that the people in the audience have come to your show to find out if the buzz is justified. A lot of newcomers to your music are struck by your voice, especially on songs like ‘Habibi’ when your falsetto really shines. But a lot of the time you keep it on a tight leash – it often sounds like you’re singing within yourself. Does it take a special song or subject matter to bring it out? I’ve always considered myself a songwriter first, and a singer second, so every note I sing will be as a function of the song. Sometimes when I improvise I like to use falsetto more often, but for me to record it and put it into so much light as I do on 'Habibi', there has to be a good reason for it. The emotion I want to express is best expressed through my falsetto. The Nagham Zikrayat orchestra, many of whom are refugees, feature on your album. As well as them being amazingly talented musicians in their own right, it feels like a very worthy thing to give artists like that a platform in the West, something that should be more common. I do agree that there are not so many crossover collaborations between occidental and oriental musicians. Mainly in pop. In jazz, it seems like more doors are opened. Think for example of the Lebanese oud player Rabih Abou Khalil, who combines jazz with traditional Arabic music. There aren’t many pop singers who would describe a lead single as illustrating “the conflict between blinding romance and dissipating nihilism.” With the state of the world, it feels all too easy to slip into the latter – how do we counteract that? I think nihilism is definitely bad and we should always try to avoid it. I notice with myself that being alert is very important in staying away from nihilism. Catching yourself when you’re not paying attention and when you’re falling into bad habits, for example spending too much time on your phone. Indeed, so many things seem to be going in such a bad direction. Pessimism is not the same as nihilism, and I think that pessimism is highly underrated. The main cause of nihilism is indifference and apathy - the moment you stop feeling is the moment you stop caring. To counteract nihilism is to pay attention, to be alert enough to acknowledge the beautiful things around you, but also the ugliness of the world. If you notice the ugliness you can devote your life to beauty, competence, and love. You’ve got Radiohead’s Colin Greenwood playing bass on ‘Indigo Night’. Who would be your ideal choice of collaborator/guest musician for 2019? I’ve got too many to mention. I think I would really love to work with somebody, whose world I don’t fully understand. Somebody who teaches me new things about music, and about myself as a musician. What are your artistic goals for the year ahead? My diary is so full of concerts and promo that artistically I just hope to find some time and space to be creative again. It’s impossible for me to be fully creative while travelling and not having privacy or headspace to get into the right creative zone. Whatever I’m going to do next creatively, I’m not going to invent an unnecessary deadline for myself to finish it. I will take as much time as it needs. Amir is out now via Communion Records. For more information about *Tamino, including forthcoming tour dates, please visit his official website.